How Do I Thaw a Frozen Sewer Line? 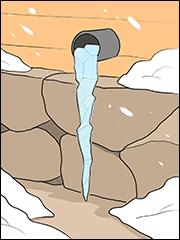 It's often possible to thaw a frozen drain line with a sewer jetter, provided you follow the right steps. Note: you can read several success stories on our Customers Page from people who unclogged frozen pipes using a sewer jetter. Most frozen icy waste removal jobs can be completed using the cold water supply from a garden hose. Heated water is usually not required. Run clean household water through the garden hose and high-pressure hose before you attach the sewer jetter. 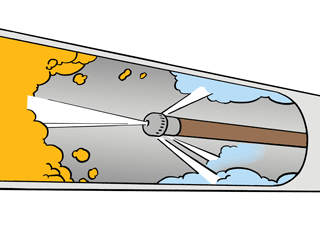 Check all open coupling ends to be sure they’re free of dirt and debris that could clog the sewer jetter nozzle tip. A clean water supply is essential, because even a small amount of dirt or debris can clog the sewer jetter nozzle jets and stop your forward progress in a frozen pipe. 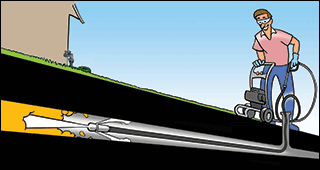 Review the general tips to clean your main drain with a sewer jetter by visiting the unclog a main sewer drain tips page. Whenever the sewer jetter is inside of a frozen pipe, keep the sewer jetter moving and water flowing through the jetter. After you have finished the job, drain the sewer jetter and all supply hoses of water immediately to avoid damage from freezing water. You might have the option to use household hot water supplied through a sink adapter to run heated water through the pressure washer. 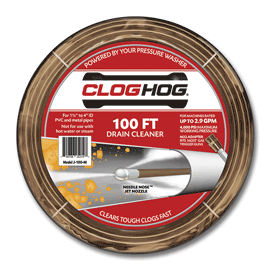 Clog Hog drain cleaners for cold water pressure washers are rated for continuous use with water up to 120 degrees F. This is equivalent to the temperature of many household hot water supplies. Note that many pressure washers are rated only for water up to 100 degrees F. Before attempting to use your household hot water supply for sewer jetting, check your pressure washer owner's manual for the water temperature rating and test the temperature of your hot water supply with a cooking thermometer. Clog Hog also sells specially-designed hot water sewer jetters, rated up to 210 degrees F, for hot water pressure washers that have boiler tanks to heat water to very high temperatures. Start by asking family, friends and co-workers to recommend a licensed plumber who has performed similar services for them. If you are unable to find a good recommendation from someone you know, search local directories like Google Maps, Yelp and CitySearch for licensed plumbers nearby who have good online reviews. Don't always trust reviews from individuals who published very few other reviews, or from people who give only positive reviews to everyone. Be aware that good service providers sometimes get a small number of negative reviews for reasons that might not be relevant to your situation. Look for a company with several reviews that tell a positive, believable story about repairs that are similar to yours. 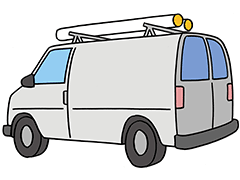 After you find one or more licensed plumbers who seem to have a good reputation, search online for the company name and the names of individuals at the company, if known. Take into account both the positive and negative information that you find about the company. Be aware that good plumbers sometimes have a backlog of several days during peak times when there are low temperatures, heavy rainfall or holidays. Sometimes heavy demand can be a sign of a company with lots of repeat customers. If you have questions or comments please contact us.